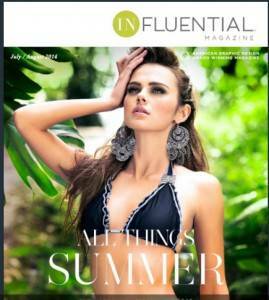 Dr. Tam's newest article "6 Things You Should Know About UV Radiation and Your Eyes" which provides imprtant advice on how you should protect your eyes from harmful rays appears in the July- August edition of Influential Magazine. 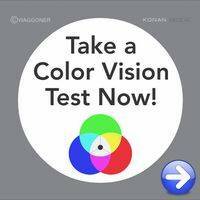 Click on the image to read the full article. 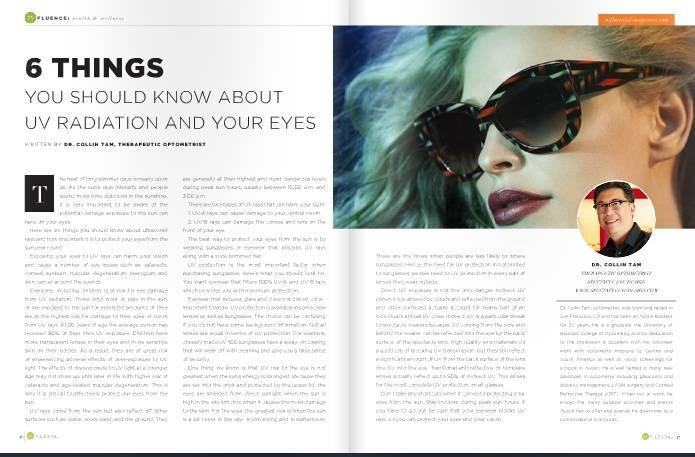 Dr. Tam's article, "Seeing is Believing", which describes some of the effects of our modern lifetyle on our eyesight and how to detect and prevent damage to our vision, appears in the May 2014 edition of Influential magazine. 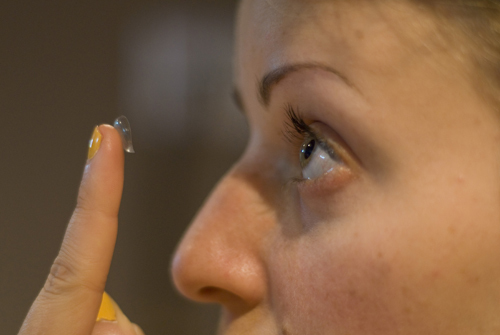 Click on the image to read the full article. 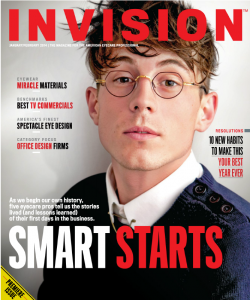 Invision, the Magazine for American Eyecare Professionals chose Spectacle Eye Design as the country's "Most Innovative Eye Care Business". We are ecstatic to have received this honor! 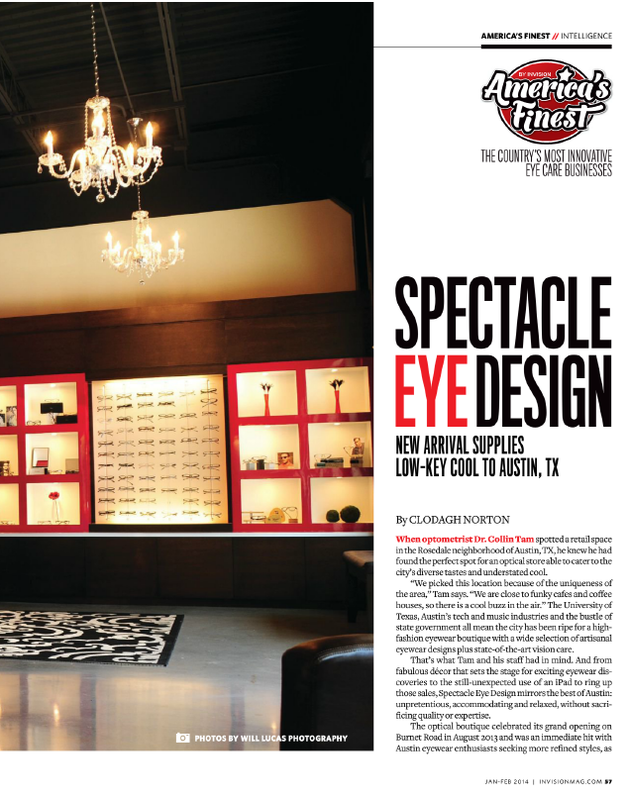 Our office was featured in Invision's Jan/Feb 2014 issue – Spectacle Eye Design, New Arrival Supplies Low-Key Cool to Austin Tx. 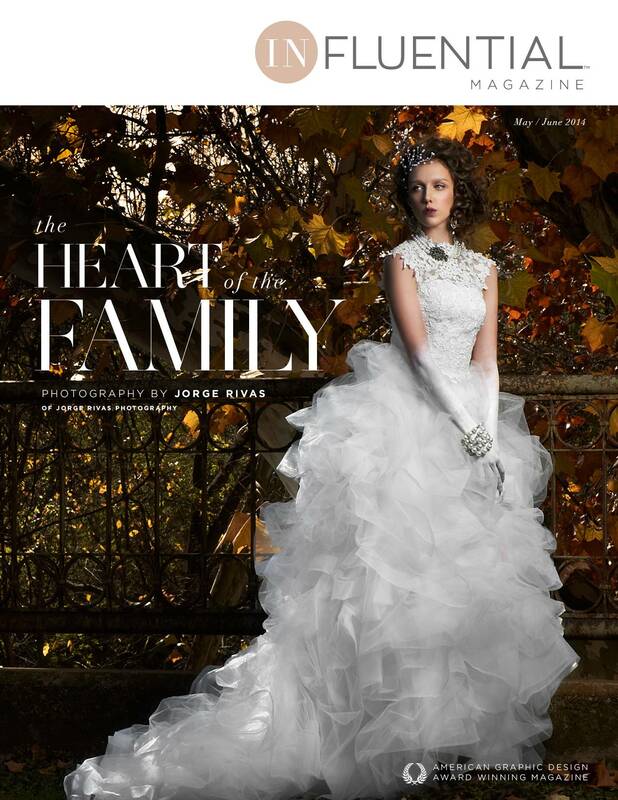 Click below and go to Page 57 to read the full article or download a PDF copy of the article now. 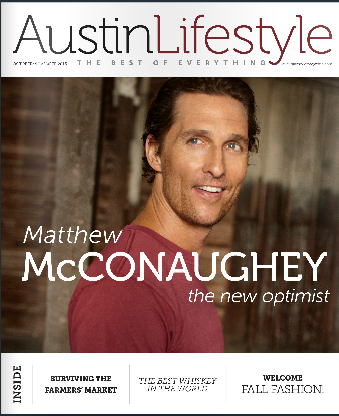 The Examiner.com claims that Spectacle Eye Design brings optical Haute Couture to Austin! 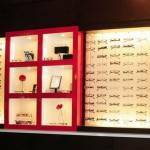 "Spectacle Eye Design will celebrate their grand opening on August 22, offering the high fashion boutique experience to those who are in the market for eye wear that is as eye-catching as it is beneficial. 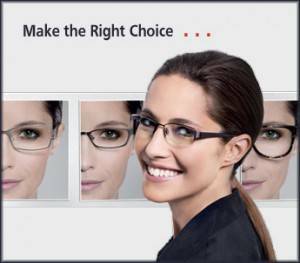 Dr. Collin Tam, Optometrist and his skilled team, which consists of Opticians Jana Lewis and Brooke Elam, will present the city of Austin with artistic eye wear designs to accommodate the diverse tastes of an ever-growing population…. 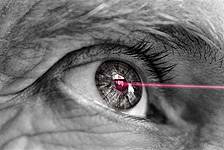 Read the article !